This Valentine's Day we were all about giving love to everyone. Sweethearts. Best friends. Sisters. Mom. 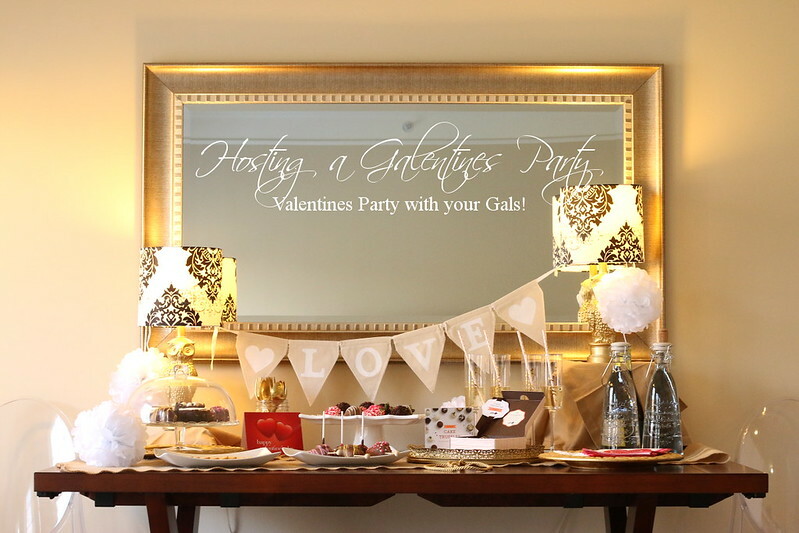 So we reached out to bloggers to encourage them to host a Palentine's Day or Galentine's Day party featuring some of our favorite dipped treats. We thought the photos they took were so fabulous, we wanted to share them with you in this gallery. The DCladies.com teamed up with Elizabeth Fogarty to create a lovely Galentine’s Day Tea Time, inspired by Elizabeth’s British grandmother. The soft pink, peach and white palette really encapsulated the sentiment of cherishing those closest to your heart. See the rest of Elizabeth’s photos when you read the full post here. Lynne from Lynnegabriel.com shared some Palentine’s Day love with her adorable four-year-old niece Nehrielle during their fancy “chocolate date” in her backyard. Nehrielle instantly fell for our chocolate-dipped Valentine’s Day Oreo® cookies. She loved holding up the ones topped with red candy hearts to say “I Love You” to her grandma. Read her full post here. Cris from MyFashionJuice.com threw a Galentine’s Day party for her girlfriends. To style her rustic romantic theme she used a mix of burlap, twine, jute webbing, doilies, white tissue paper, brown bags and other similar materials. We think she absolutely nailed it with her “LOVE” banner. Read the full post here. Megan from Closet-Fashionista.com used her trip to Orlando with friends to host a laid-back Palentine’s Day party at their hotel. Megan told us most of her friends were swooning over our love bug and conversation heart brownie pops. Cathy from TodaysInnovativeWoman.com invited her friends and co-workers to celebrate friendship, women and sharing the love. It looks like they had a blast. Donna from DonnaDaily.com is full of great Palentine’s Day party ideas and tips. We love how she mixes different plates and trays to create a table with bohemian flair. Fresh peach and white roses (instead of red), add a pop of Palentine’s color. And when it comes to the treats, we agree with Donna that less is more. Don’t pile too many on a plate at once. You’ll draw more visual attention to our brownie pops, cake truffles and berries if there’s just a few on display. When guests eat them, simply add more. Erin from TheFashionCanvas.com rented a hotel room for her gals, pulled out her grandmother’s hand-painted china and slipped into her favorite floral dress for a sweet, vintage take on the modern holiday.